With the advancement of technology, a lot of electronics tech products like gadgets, smartphones, laptops, smart tv and much more are introduced for the consumers. Today, Gadgets are more like companions to us because using them has become part of life. 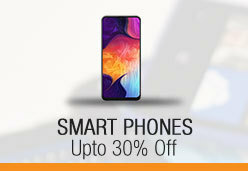 At Yayvo.com you can buy all top demanding gadgets like Power Banks, Portable Speakers, Bluetooth Accessories, MP3 & MP4 Players, Smart watches, Islamic Devices and much more online in Pakistan. Why do you need to Buy Gadgets? There was a time when you had only one stand-alone computer, and you could only use it for limited purposes. But, in today’s era, you will see small electronic devices around us, doing small tasks are called gadgets. It wouldn’t be convenient to use your computer for all tasks around you, that’s why gadgets are introduced. Gadgets are specially designed for performing specific tasks like measuring your footsteps, getting notifications from your friends, charging your mobile devices, entertain us and a lot more. Tech gadgets have made our life easier by automated our daily tasks. Now, we so much depend on gadgets, and it looks hard to live without these tech gadgets. So, buying gadgets will make our life more manageable and a lot easier. Pakistan in not left behind in adopting these electronics gadgets, people in Pakistan are always looking forward to making their life easier by using latest electronics gadgets. You will observe, every person around you is using some tech gadget. 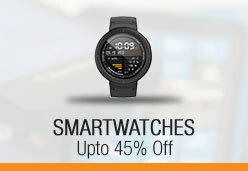 So, you can also gift these electronic gadgets to other as a birthday gift or any other kind of occasional presents. 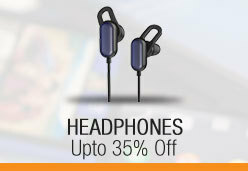 At Yayvo you can avail a wide range of coolest and most demanding Gadgets. Pakistan is a country, where you will always observe a shortage of electricity, and you wouldn’t get enough electric power to charge your media devices. That’s the point where Power Banks come as a handy gadget. Even, if you are a person who travels a lot and didn’t get time to charge your mobile phones, then power bank is a must-have thing for you. 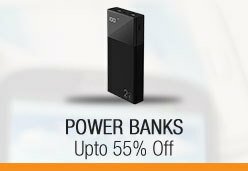 Power Banks comes into different ranges of power capacity like 5,000 mAh to 30,000 mAh. You can choose power bank depending on you usability. A few years back, we have watched superheroes wearing cool gadgets only in movies. At that time, no one has thought about wearing them for real. Thanks to the technology, for turning ideas into reality. Today, wearing these cool gadgets has become a fashion trend, and you will find a lot of people wearing them. Smart Watches are add-ons to your smartphones, you can directly receive your mobile notifications to watch, instead of tapping on your phone again and again. These watches also feature with GPS; you can track your exercise while wearing them. VR Box Is another coolest gadget for upgrading your lifestyle. Virtual Reality is a new technology, which allows you to watch content in multi-dimensions. VR Box is also an add-on to your smartphone, now you integrate your VR Box with Facebook and meet with your friends virtually. Order now, and get your electronic gadgets deliver at your Doorstep at a very reasonable price.